Today, there is a lot of talk about the environment and energy saving. There is too much pressure on businesses and originations to reduce the usage of energy and to introduce the use of sustainable energy models. Also, there is a lot of emphasis and in some countries, even government incentives are given for people and organizations that are using alternative energy resources. Energy saving is the most reiterated fact in the common day. We need to save energy; else we will be leaving behind an energy deficient world for our future generations. Read on to know more about what popular UPS suppliers in Chennai follow for effective energy management. It is important for all the companies to make sure that there is a continuous power supply so that they can perform their day to day duties. In some cases, it is a matter of life and death as well; healthcare and financial organization cannot afford to have even a few minutes of power failure as their operations are very critical. So, it is highly essential that there is a power backup facility as the loss of power in such instances can even endanger lives. Implementing a UPS system has become the way forward for many of these companies. An uninterrupted power supply works at a very high level of power, that they may not be in the first place when we talk about energy savings, still with little changes to the equipment will make a high difference to the overall power savings. There are a lot of new modular UPS systems that make energy saving a much simpler thing to do. These modular UPS systems allow power to be carefully measured so that it covers the required load but does not overproduce and waste energy. Modular UPS systems can also be modified according to the business needs and to meet different load requirements. This is how you can save energy. 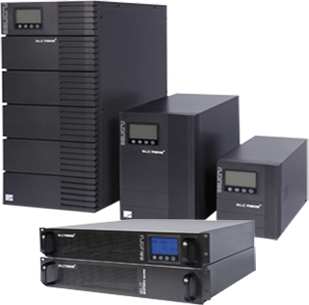 UPS systems offer power security in case of power failures and the modular editions offer a high level of security in addition to having an improved efficiency. Modular UPS systems also come in smaller sizes and lesser weight so that it can suit any need for the business. A single phase UPS system can protect the equipment that uses the standard AC power supply, which is also called as the single-phase power supply. This is ideal for most of the home and some office locations that have a limited number of systems. But in case the office environment has a data center, a factory or other heavy machinery, then you will need a more powerful and steady three-phase UPS which can cater to the loads available. Most of the equipment is designed to support both single-phase and three-phase power supplies, so it is up to you to buy the right type of UPS system to support your cause. A UPS not only gives the much-required power for the smooth operation of your business, but it also gives the much-needed protection for your equipment from voltage surges which may even break them down and have a serious loss of work time in addition to the expenses that it may incur. Here are the main differences between single phase and three phase UPS systems. A single phase UPS is usually located between the main power supply and the load that has to be protected. A three-phase UPS is also located in the same way as the single-phase UPS, but the voltage that is support is of a higher order, typically in the range of about 400V. As the name indicates, the single phase UPS is to supply a single-phase power supply in case of interruptions. Similarly, the three-phase UPS provides a three-phase voltage where each is out of phase by120 degrees from each other. Depending on the usage, you need to use the correct type of UPS so that every bit of energy that is generated is only consumed and not wasted.